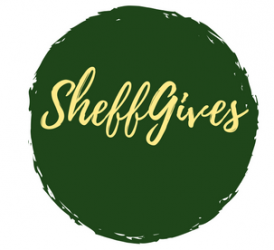 The great thing about the SheffGives campaign is that there’s something that everybody in the city can do to get involved, no matter how young you are! Hunt for our #bethesmile pebbles, snap a picture if you find one, share the picture on our social media (or ask your parents to do this for you), then re-hide the pebble for somebody else to find! Sign up to our weekly pledges which are simple ways of joining the city of Sheffield in giving a little, to benefit the whole community. We’ll share our weekly pledges via social media and here too.